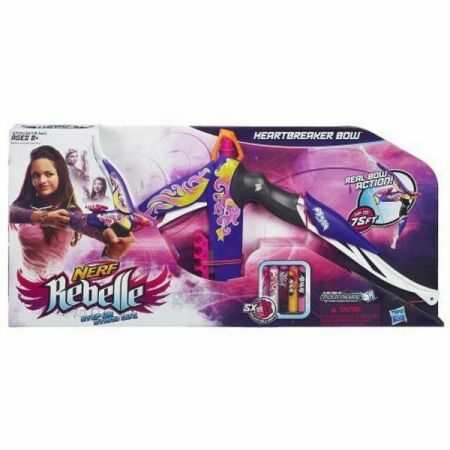 Step up and stand out with this Nerf Heartbreaker bow with real bow action! Show your poise and power as you unleash your skills firing upto 75 feet! 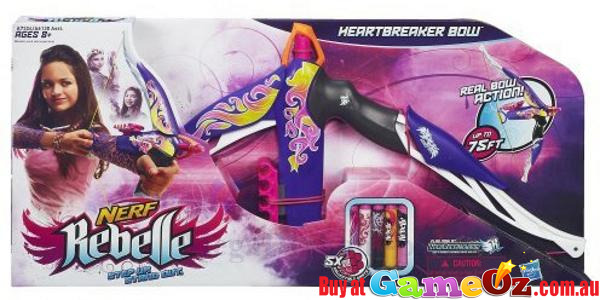 Contents: 1 Heartbreaker bow, 5 collectible darts, dart storage accessory and instructions.